This 12 x 12 Collection Kit contains twelve (12) Textured Double Sided paper and one (1) 12x12 Sticker Sheet. 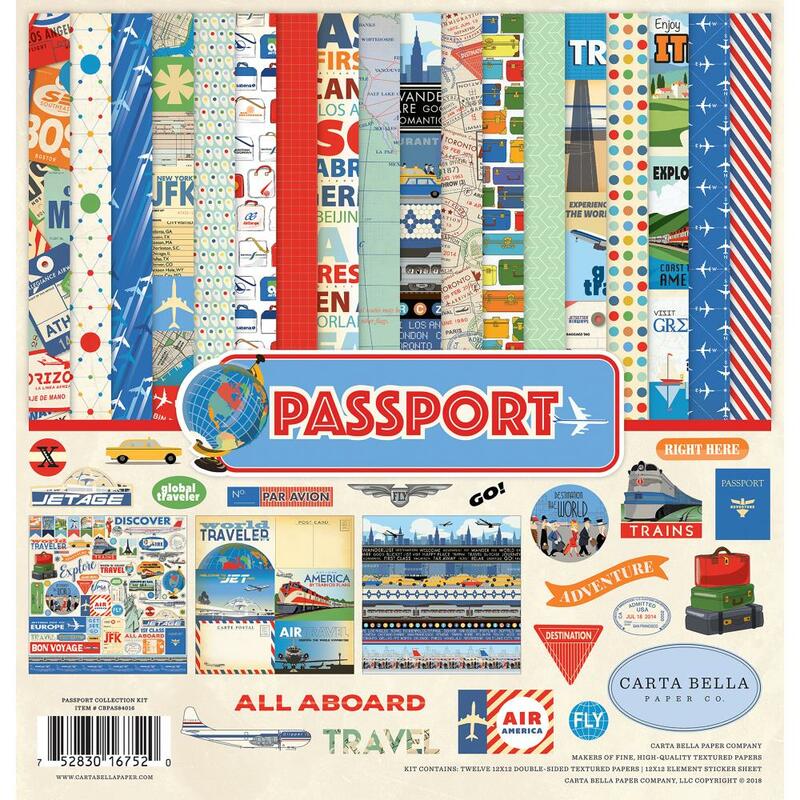 Part of the Passport Collection by Carta Bella. Look for coordinating products - Decorative Dies, Frames & Tags Ephemera Diecuts and Chipboard Accents.